I’m very much a fan of winter with the pretty frosty mornings, beautiful sunsets and snow, but I also love being warm and sometimes just want to hibernate! Sound familiar? It can sometimes* be hard to combat the cold, dark days but here are some of my helpful (and unhelpful) suggestions to guide you through the season and our best products to combat the winter blues. Click on the images and links below to see my recommended winter warmers! Some of our plushes all snuggled up! The first unhelpful tip is just not to get out of bed in the first place. Warm, snuggly and most likely one of your favourite places in the world, your bed is a sanctuary from the cold, harsh outside that awaits. However this is really only an option when you don’t have to work (you need money to pay for the heating and comfort food), but if you are one of the lucky few who can work from home - GO FOR IT. To add even more joy on those occasions when you can stay in bed, have a look at some of our plushes that can keep you company. We do recommend a double bed at least though to give you all space! For those occasions when you do have to venture outside, I recommend a ‘michelin man’ style approach with many layers hidden underneath, topped off with cute but fluffy items like our Hello Kitty scarf. This does slightly restrict movement but you need to conserve as much energy as possible in winter! If you are going to be in cafes or shops though, I do recommend the layers are easily removable so as to avoid the ‘roast turkey’ effect where you slowly but surely cook yourself—festive, but uncomfortable! As well as layering up, I recommend you equip yourself properly to fend off the weather. 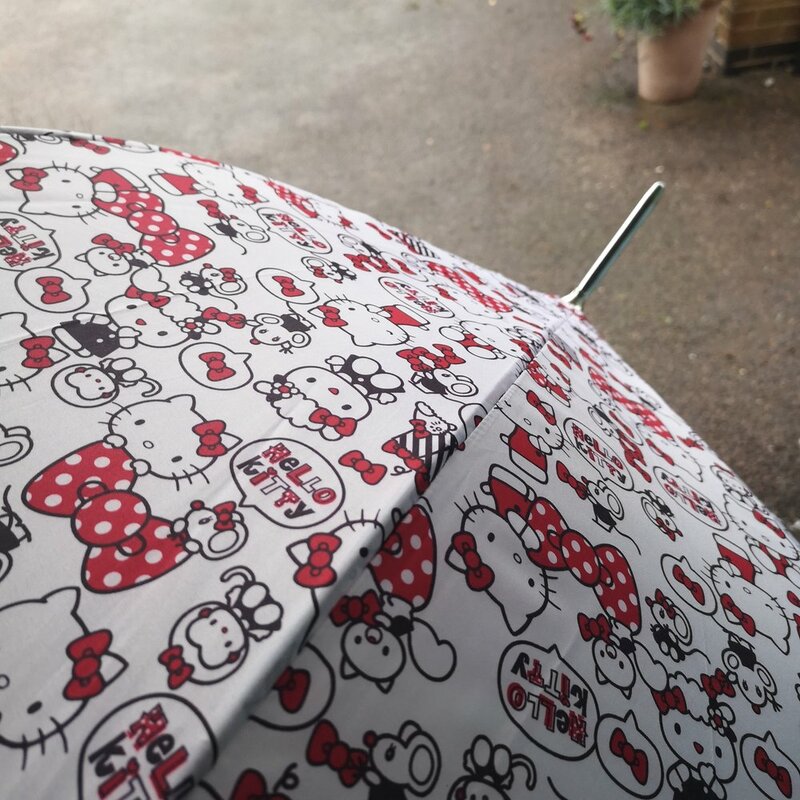 This includes having an umbrella to hand at all times for UK residents, as we know that even a '2% chance of rain' means it will rain and catch you off guard! Nobody wants to be damp and cold. Another great tactic is to have a hot drink with you to warm you up from the inside out. You can do this with either our Pingu or Hello Kitty takeaway cups so you can have your wonderful hot cocoa, tea or coffee in your hand at all times (or at least until it's finished). They're also great for the environment and help stop lots of plastic takeaway cups going to landfill, so you can also have the warming feeling that you are helping the planet too! Penguins huddle in some of the worlds worst weather and survive, so why not adopt the technique too? You could find your favourite human or pet to do this with, but you generally can’t take them to work with you and they're rather distracting. Instead I recommend a a microwave heatie like our Pusheen one! Pusheen can keep you warm when watching TV, in bed, or even at work—hide her in a baggy jumper as you sit at your desk! The bonus is she doesn’t shed fur, demand food or stick her claws into your legs!